Prepare to be enamored with the beauty and charm of "Hockey House" circa 1870. Located in the picturesque township of Grafton and just a few minutes walk from the Central Business District and Shopping Precinct, properties of this caliber and style are rarely seen in today's market. This heritage listed property has maintained most of its original features including beautifully preserved Western Red Cedar, complimented by luxurious modern upgrades such as ducted air conditioning and a modern country style kitchen complete with designer appliances. 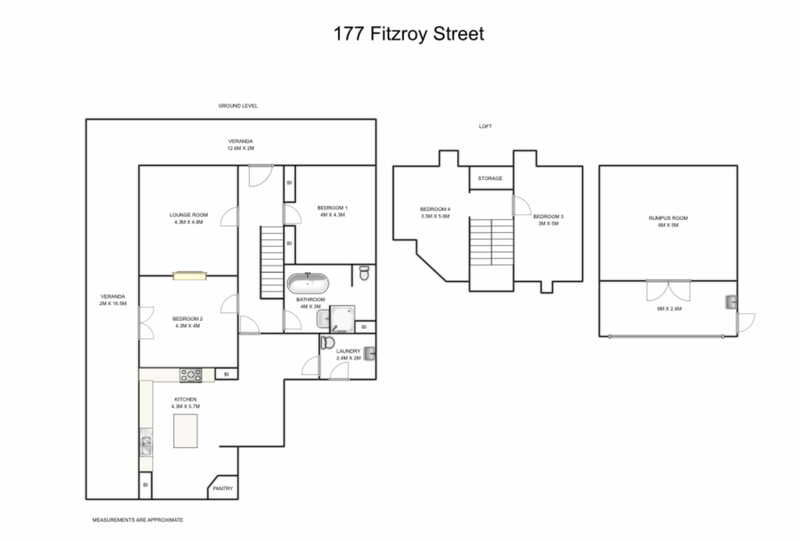 Boasting a significantly historical façade complete with French door features and dormer windows, the fully fenced yard and established gardens provide privacy and security without detracting from the commanding presence the home holds along the beautiful, tree-lined Fitzroy Street. The home has been lovingly restored to exude the rich history the home possesses whilst including the modern lifestyle indulgences we are all now accustom to. Polished hardwood timber floorboards, elegant chandeliers as well as gas heating and cooking are just some of the features this home has to offer, it is guaranteed you will not have to lift a finger. A rear studio provides endless opportunities for the sewing, art or music enthusiast (The Grafton Regional Gallery is a stone’s throw away providing a cultural haven for the artistic spirited individual). Or simply convert the space back to a double lock up garage – it is that simple. The property also includes plenty of off-street parking so space will not be an issue. The home has a long history of impressive and powerful owners; Edmund Hockey Sr. a former Mayor of Grafton City Council resided in this home along with his family, once famous boot makers in Prince Street. Historic properties such as this are a rare find, don't miss the opportunity to fall in love with "Hockey House". For further details, or to arrange your inspection, call Mackenzie Harvison or Renai Williams on 0447 168 857.